This cozy private room for two is located on the upper floor of our home. 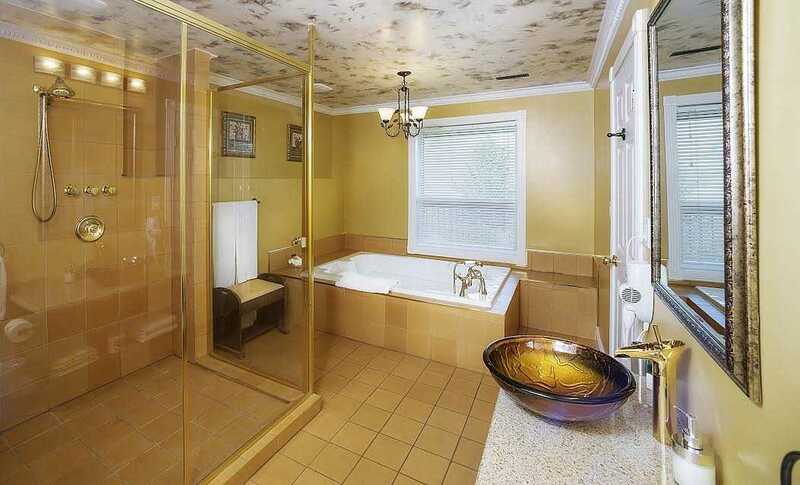 It comes with it's own private bathroom with a great soaker bathtub for your enjoyment. This luxurious suite sleeps 2 and this very comfortable queen sized bed is just what your body will need after a long day. This room has it's own private bathroom including a soaker tub. 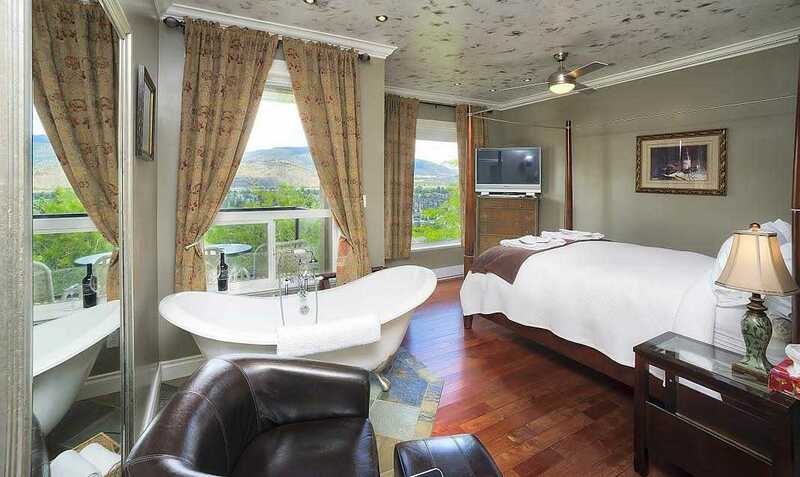 This suite sleeps 2 and comes with full private bath with a jacuzzi tub and room to relax. This luxurious suite sleeps 2 with a queen sized bed. 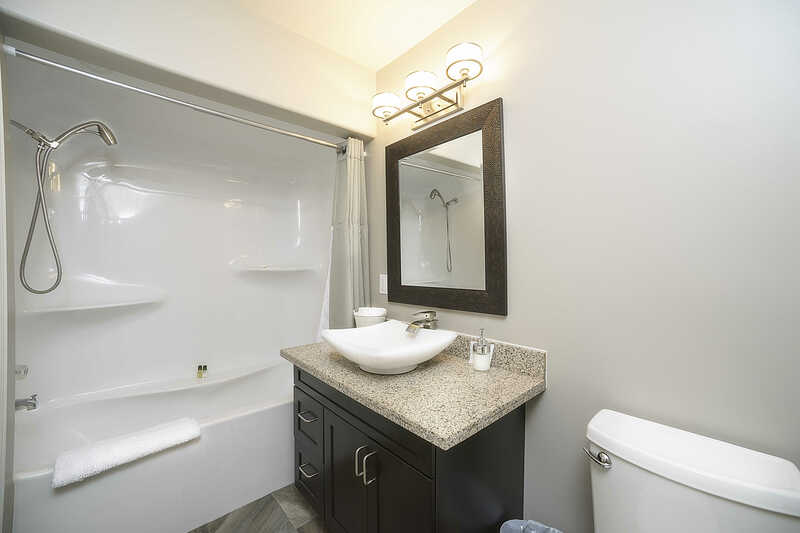 This room has a private ensuite bath with a jetted jacuzzi tub and seperate shower. A large Jacuzzi tub is just what the doctor ordered. 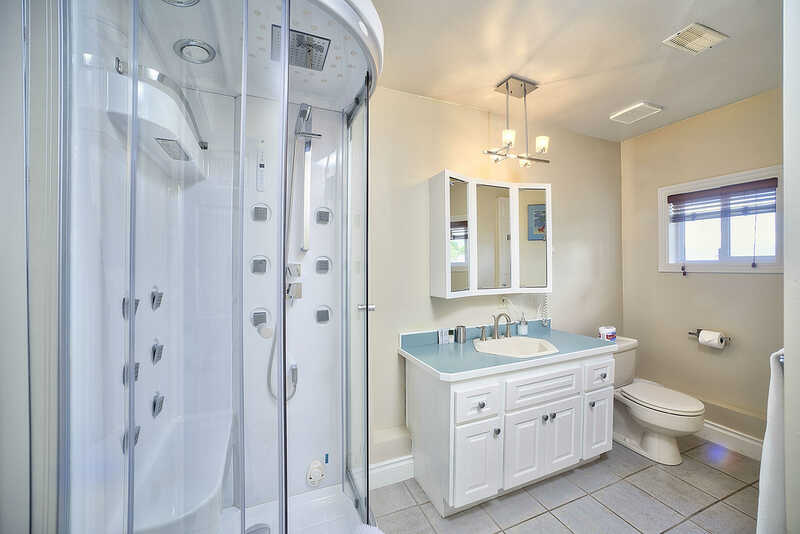 If you don't have time to enjoy the Jacuzzi there is also a shower in your private bath room. Our largest and most spectacular suite at a total of 600 square feet sleeps 4, includes private cooking facilities and a 150 square foot bathroom fit for a king and his queen. This luxurious suite sleeps 4 and with a queen sized bed, hide a bed and room to spare it is not hard to believe you are in your very own home away from home. Breakfast is served upstairs, but if you find yourself hungry again later in the day the suite comes complete with your own fridge, stove, sink unit for you to use whenever you like. The Carriage House has a nicely appointed double slipper foot tub to enjoy the view while you soak. You can enjoy the view of the lake and the city from your own private balcony. If you don't care to take in the view while you bathe, try the large 8 head jetted shower. This room has it's own private outside entrance. Amenities include a small kitchenette area.